Aircraft load planning training is a key part of the aerial porter’s career field education. 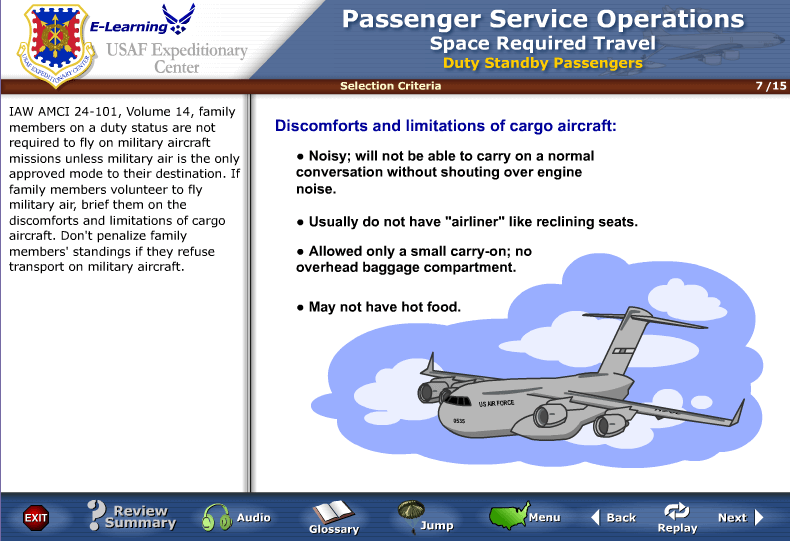 Learners study and are assessed on selecting and sequencing cargo on the C5 and C130 airframes. 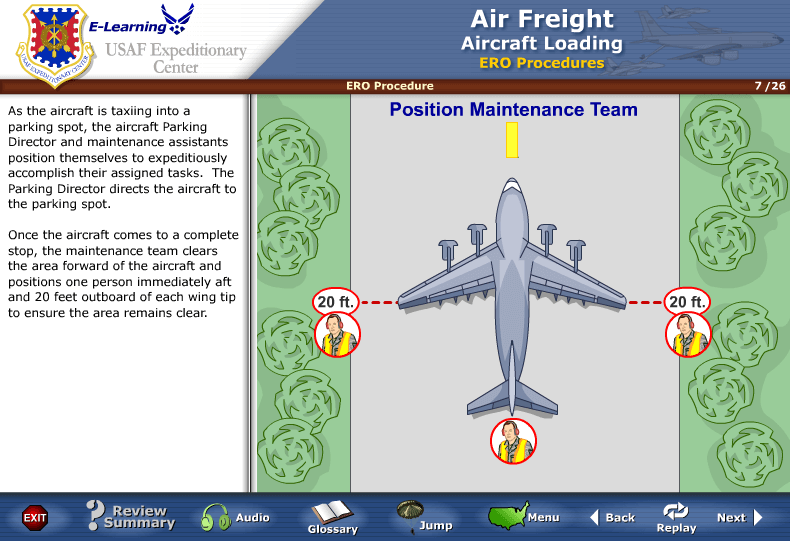 The course contains hundreds of interactions and practice exercises to teach load planning calculations and the proper way to load the aircraft. Have you ever been so tired you had to pull off the road and take a nap? 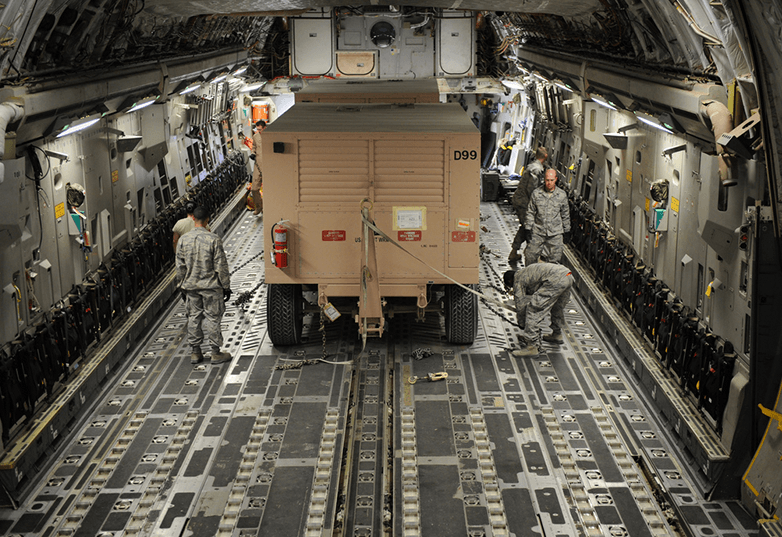 Staged crews help the Air Force minimize ground time and provide well-rested crews for the continuing aircraft. A Stage Manager keeps track of each crew as they arrive and depart the station. Their duties include the securing of sleeping accommodations, food and transportation. As in every TraCorp course, each lesson in the Stage training course contains engaging activities, and a knowledge check, with useful and informative feedback. Air Freight personnel are responsible for originating and terminating cargo and mail for the U.S. Air Force. The Air Freight course effectively trains them in the entire process of preparing the cargo for shipment, securing it on the aircraft, storing hazardous materials and explosives, and the rapid deployment of personnel. TraCorp used engaging interactive exercises in each lesson to keep the student involved throughout the entire course and reinforce key learning points. 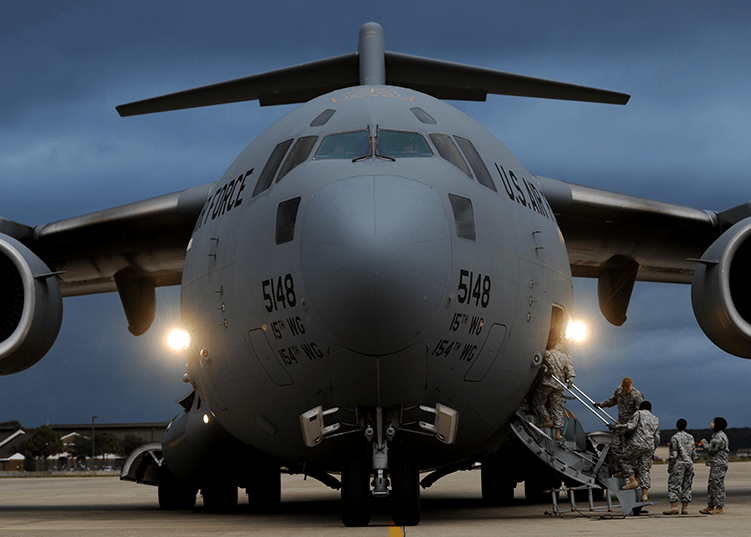 The United States Air Force hired TraCorp to convert its line of CD-ROM training courses to standards compliant online learning for delivery across the Internet and military networks. TraCorp was responsible for validating the curriculum, closing any educational or skill gaps and recreating the interface, all media, animations, interactions and testing. 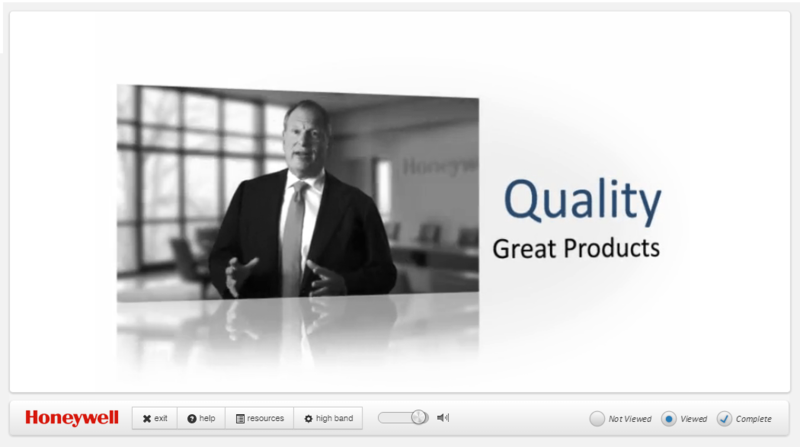 The finished products are now launching from the Thinq LMS to a worldwide audience. The Flash graphics in this lesson are extraordinary, and highly interactive. 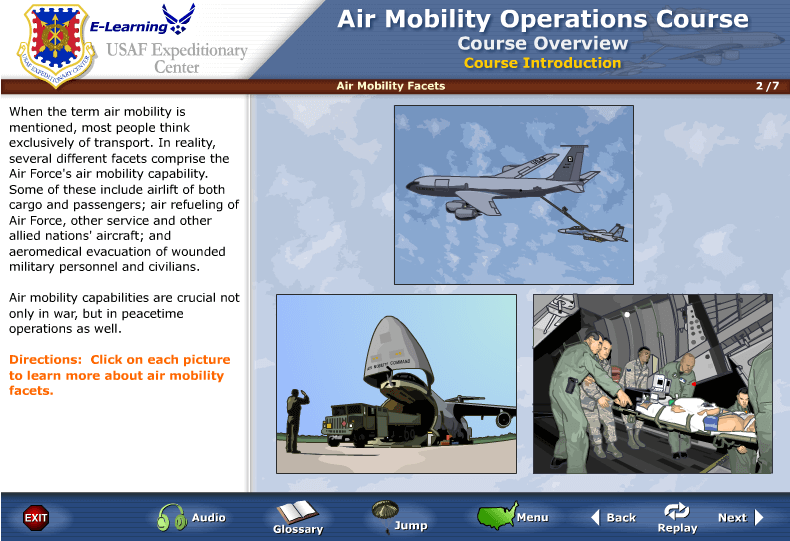 This course covers Air Mobility Command's responsibilities, including aero-medical evacuation of wounded military and civilian personnel, air refueling, and the transportation of troops and cargo to strategic locations. Animations, scenarios, click and drag puzzles, and interactive charts are throughout the course to engage students. 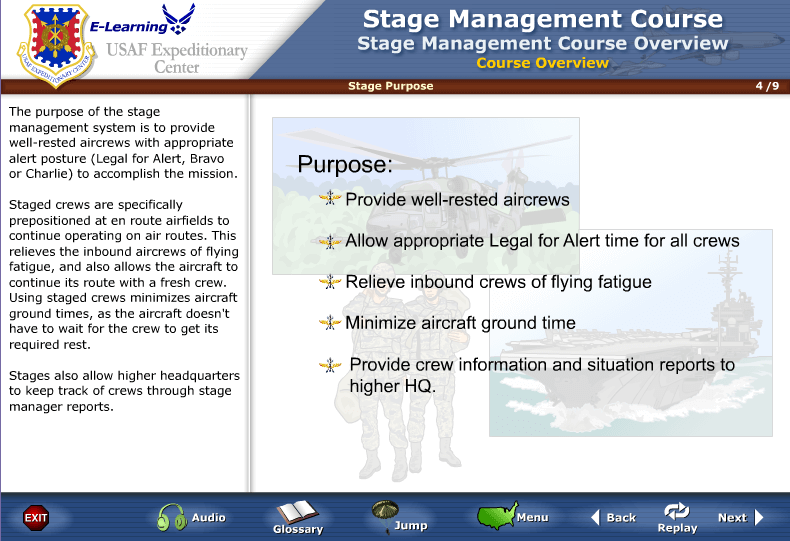 Operational Reporting teaches Air Force reporting procedures for events, incidents and emergencies. Personnel are tested on their ability to select and use the correct report for the task including reports to the chain of command, joint services and civil authorities. The US Air Force Expeditionary Center provides our nation with strategic agility to deploy, employ, and sustain military power in response to crises worldwide. TraCorp and TKC Communications were contracted to develop highly interactive online learning to train USAF personnel on its organizational structure and related operations. Course information is brought to life using rich animations and a variety of interactive exercises designed to engage the learner. 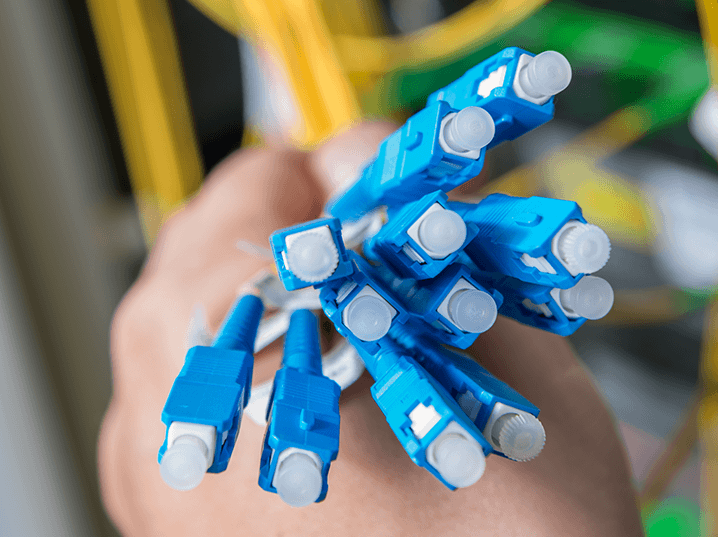 TraCorp worked with subject matter experts at Corning to produce an \"Introduction to Fiber Optics\" technology course that is currently being used to augment, and will eventually replace, their stand-up introductory training course on a global scale. Sales engineers can now train at their own pace, in their home country, resulting in tremendous travel savings and more time with customers. The challenge was to train globally dispersed salespeople on the entire product line to increase worldwide sales. Accomplishing these goals required TraCorp to build an Custom Online Training application in a gaming environment and deliver it in nine languages. 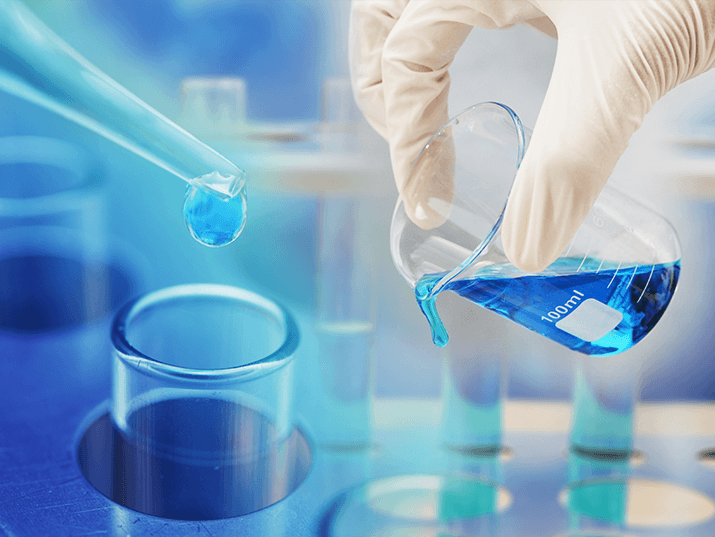 Covering not just products, the application teaches basic cellular biology and the scientific processes used in the industry. Corning expects that this familiarity with their products and industry processes will result in increased worldwide sales, and feedback from the sales force says "It's working!" The Air Terminal Operations Center (ATOC) provides work centers with the information to efficiently receive, document, and move passengers, cargo and mail. TraCorp uses interactive forms and animations to get the student involved in the process of dispersing information to the aerial port work centers. Students have fun calculating the proper sequence for loading, and establishing the center of balance for cargo on a variety of military aircraft. 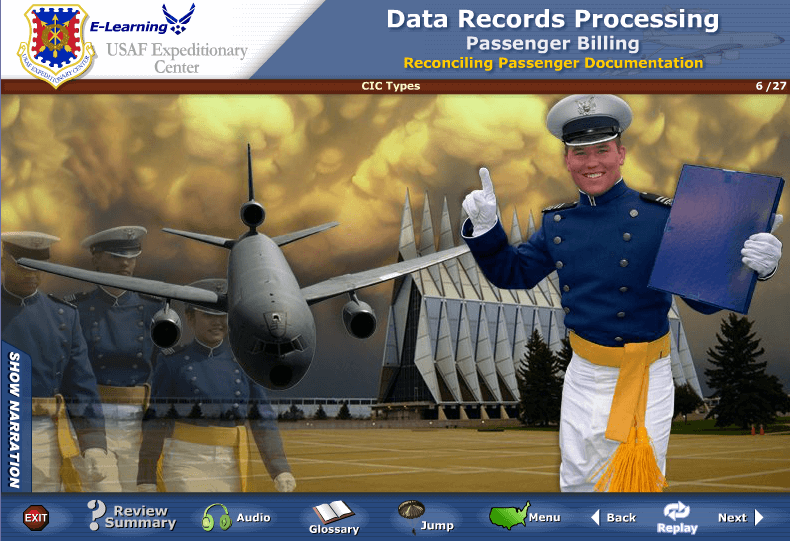 This course provides information on processing Department of Defense (DoD) passengers. Air Force personnel learn about different categories of travel, how to process passengers, accepting baggage and terminal security. TraCorp incorporated software simulation, interactive scenarios, puzzles and games that engage the students throughout the training. The Chief Host Aviation Resource Management (CHARM) course defines the Aviation Career Incentive Act. This act established rules for paying rated officers incentive pay for flying duties based on years of service and the number of months of flying duty they have accumulated. TraCorp incorporated a variety of interactive learning activities, including scenarios, interactive forms, drag and drop puzzles, and a wheel-of-fortune game to engage the students. TraCorp makes learning FUN! 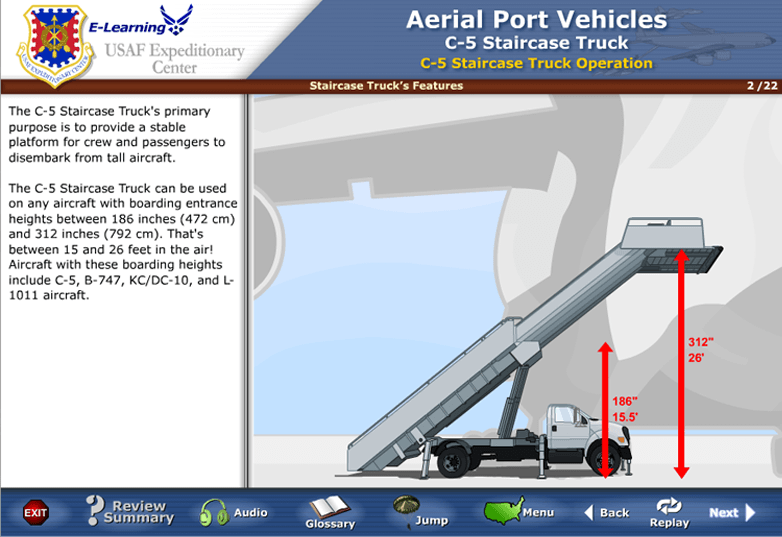 Instead of sitting in a classroom, airmen now learn and practice Material Handling Equipment (MHE) skills through online learning embedded with powerful simulations. 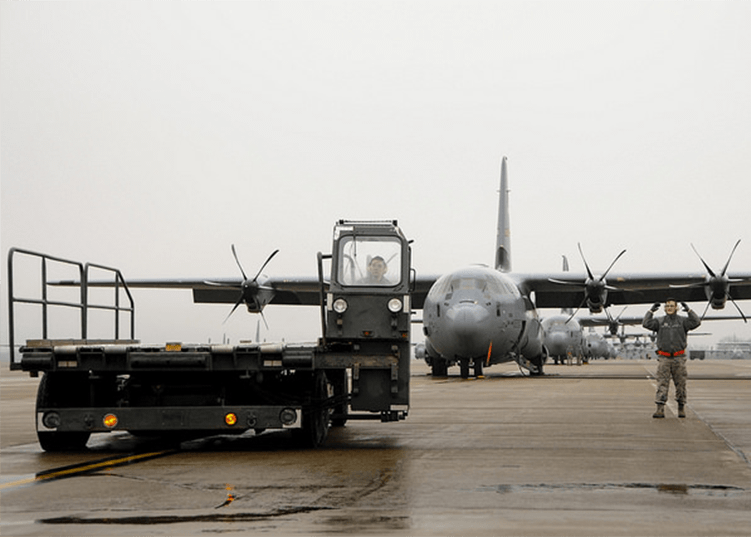 The USAF has a multitude of Aerial Port Vehicles ranging from forklifts in the warehouse to service vehicles and huge K-loaders on the flight line. MHE must be operated safely and in accordance with established policies. This course covers the licensing requirements to operate the equipment and vehicle safety. Students are fully prepared for vehicle certification and follow up the online course with on-the-job training. 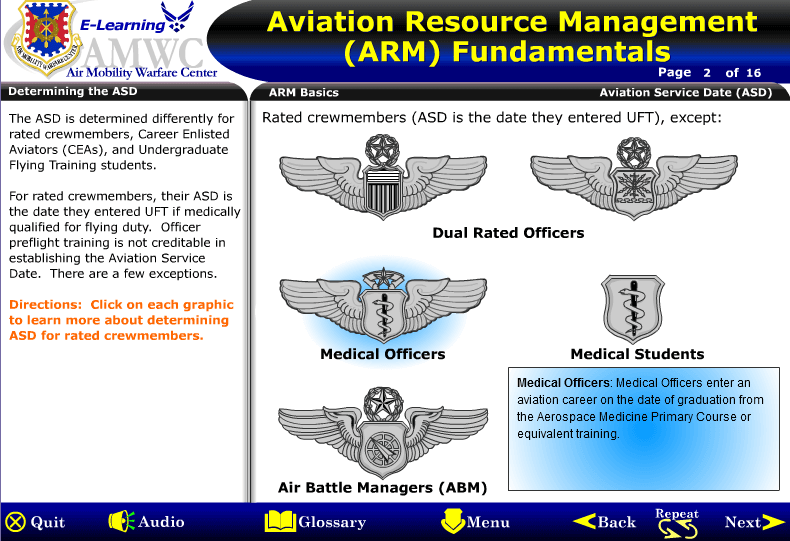 TraCorp uses software simulation and interactive forms to guide students through the process of verifying records and data received from several different divisions of Air Mobility Control (AMC). 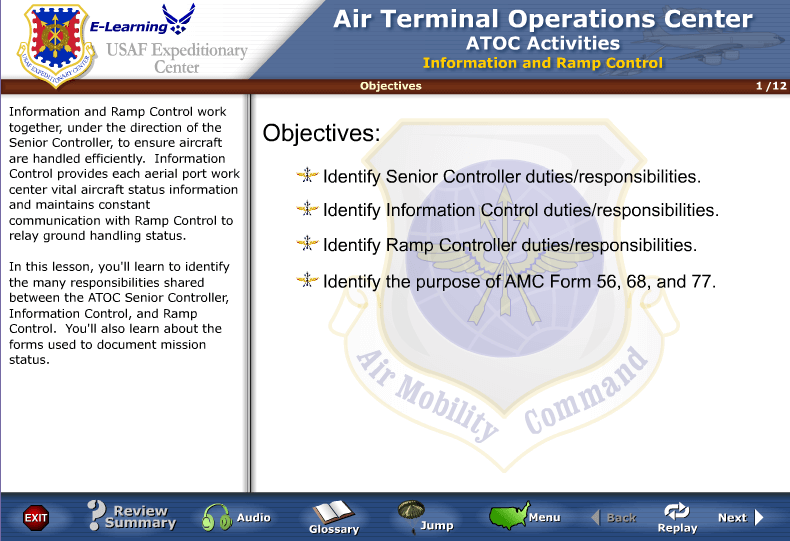 AMC then uses this information to bill and collect revenue for air transportation services and assist in determining manpower requirements. TraCorp worked with the US Air Force and Boeing subject matter experts to create custom online training for the Combat Survivor/Evader Locator Handheld Radio (HHR). 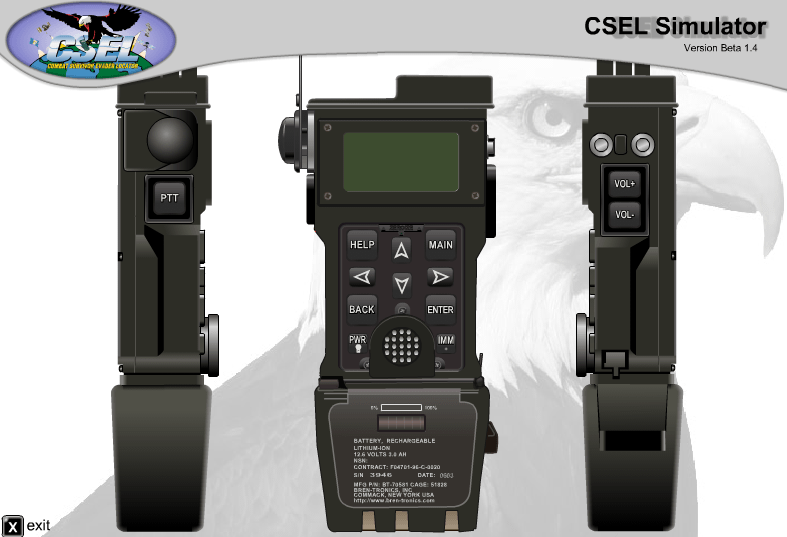 The goal was to create a simulated free play version of the CSEL Radio to operate in a virtual (computer-based) environment. 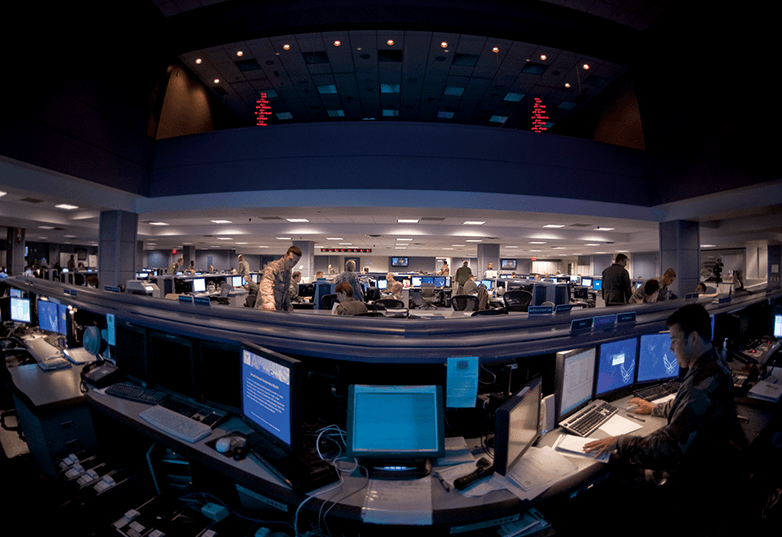 The simulator provides on-demand training so students could practice critical tasks identical to what they would have to do in the field to prepare the radio for field use. 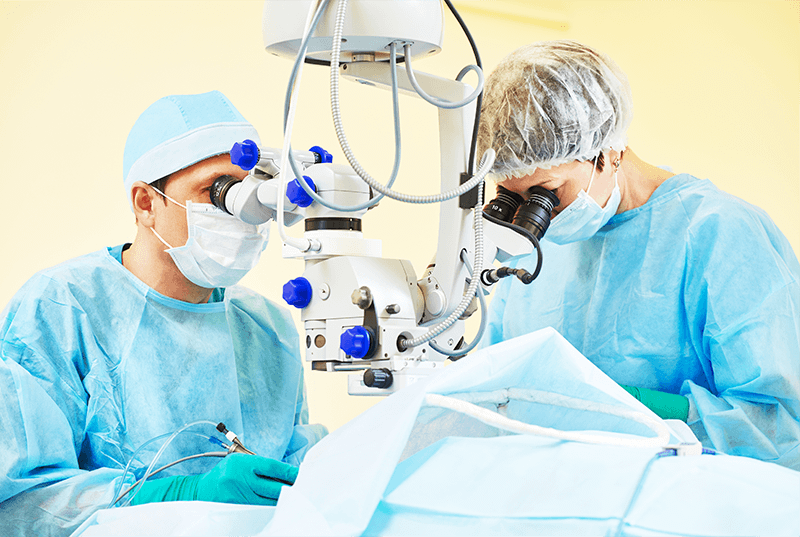 Under subcontract, TraCorp built a sophisticated training program for medical personnel to learn about the latest surgical laser. The Surgical Laser Training course uses Flash animations to simulate the laser’s capabilities and compare its features with competitive models. Experts in the laser’s use can now provide technical information to large audiences using these animations along with a companion PowerPoint presentation TraCorp also created. 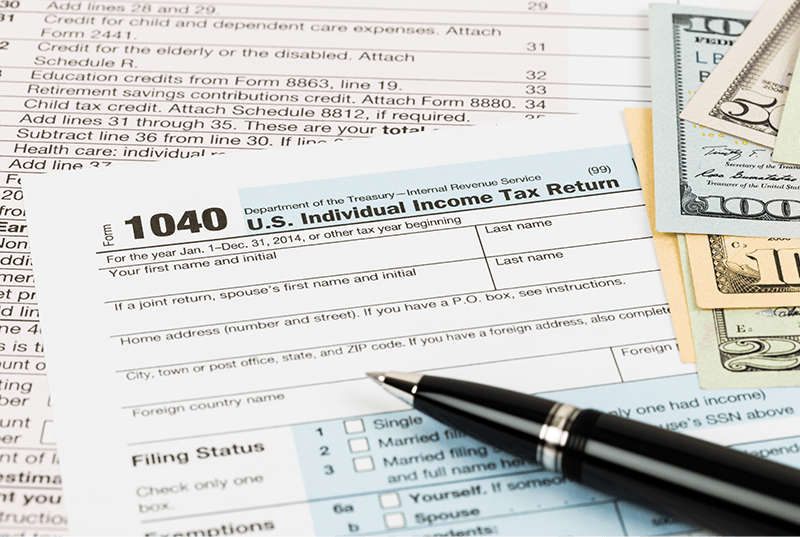 TraCorp worked with this firm to produce training for their newly hired worldwide accounting personnel so that they could prepare the Individual Taxation forms for U.S. tax clients at home and abroad. The training is comprehensive, covering hours of scenarios and possibilities with the average student requiring 15.5 hours to complete the courseware. Environmental Defense and PHH Arval collaborated to create PHH GreenFleet. The program trains thousands of fleet operators on how to reduce their carbon impact and thus reduce global warming. Drivers learn new fleet operation techniques that save fuel and reduce greenhouse gas emissions. 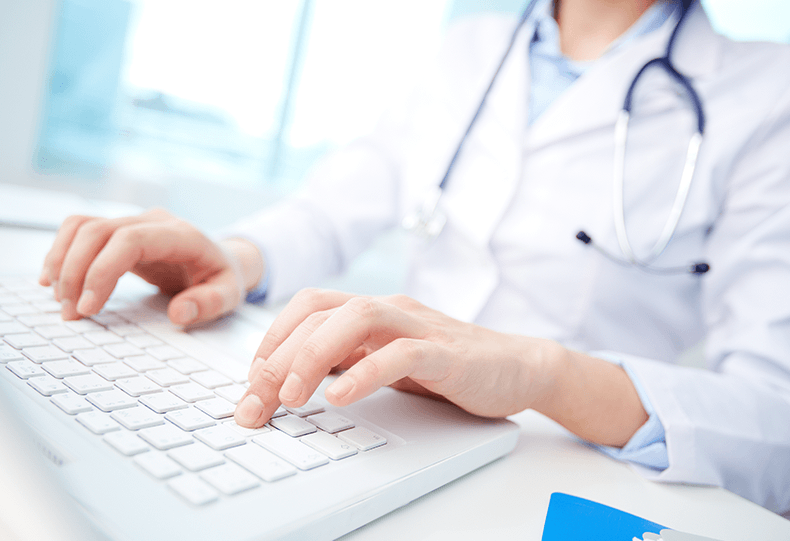 Banner Health needed to comply with federally mandated training for the Health Insurance Portability and Accountability Act (HIPAA). As a provider of health related services, Banner Health was required to implement a variety of different training courses for their employees and volunteers. Together, TraCorp and Banner Health designed a fun and interactive course that best addressed the needs of each individual end-user, while at the same time fulfilling all federal requirements for the training. 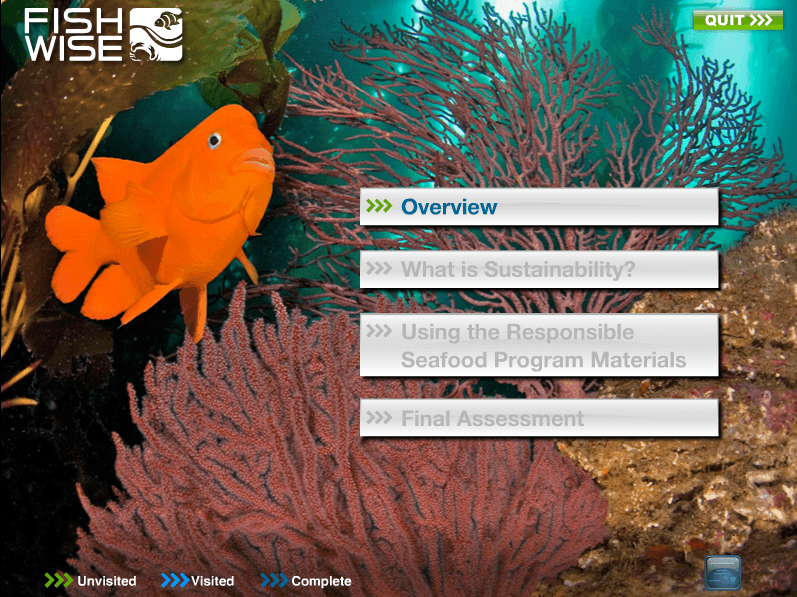 TraCorp was hired by Sustainable Fishery Advocates to develop online learning for the FishWise seafood sustainability program. The FishWise program educates retail fish counter employees about various types of fish and shellfish so the employee can pass this knowledge on to the consumer. Topics include health-related facts, the way the specific type of fish is caught or farmed, and labeling, counter and reference information. Employees who complete the course are tracked and certified through the FishWise Learning Management System (LMS) system, which is designed, hosted and maintained by TraCorp. 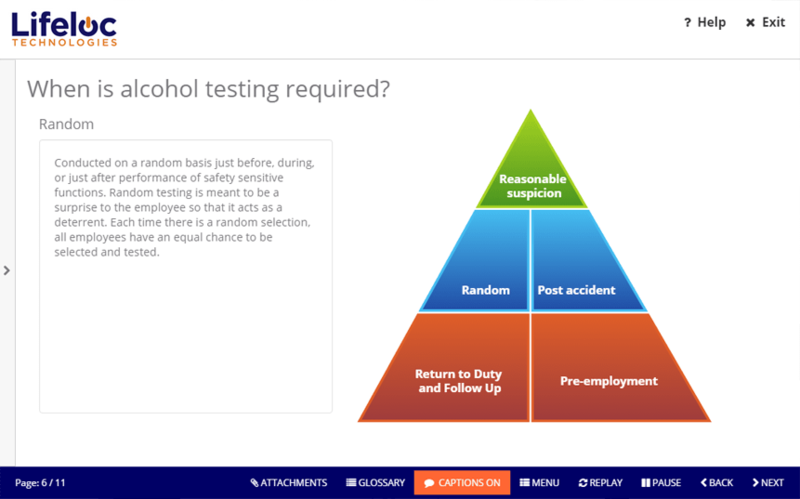 The Breath Alcohol Technician Training course is another example of TraCorp converting a PowerPoint-based classroom course to online learning with delivery through the TraCorp LMS. The courseware was created in Articulate with source files given to the Lifeloc for long term maintenance. Teaming with TraCorp resulted in a professionally developed course that is easily updated by the customer.